EQ Dashboard / Rejection. Are you playing life as a game of win or lose? Rejection. Are you playing life as a game of win or lose? You work up the courage to talk to that really attractive girl from the coffee shop, and before you even get much past hello she becomes visibly uncomfortable, says she’s late for a class, and has to run. You made a sales pitch to a big new customer that seemed to go really well, but that was four weeks ago, and now they won’t return your calls. You took 3 months to prep for that Graduate School exam, your results come back with scores not even in the top 60th percentile, and all the schools you’re considering want 85th percentile. You pitch an idea to your boss after preparing for six hours on your day off, and she doesn’t even let you finish before dismissing the idea as unrealistic. Rejection is that very unique flavor of focal failure, one that feels intensely personal. When your candidate loses an election it stings, but it isn’t a personal reflection. Rejection comes from the belief that an event (like the examples above) is a reflection of our value as a human being, or our social standing. Rejection feels painful because we’re social creatures who rely deeply first on our parents, then our families, teachers and communities to survive. Rejection feels like a threat focused on our personal and social safety. That is, until you discover the power of EQ. Emotional Intelligence (sometimes called, “EQ”) refers to our ability to recognize, read and manage emotions. Learning to manage both your emotions, and the emotions of others is a prized talent, about that virtually every expert agrees. Aside from that consensus, there are anecdotes illustrating EQ, ways to measure EQ, and even whole books explaining why you should care about EQ. But there’s been almost nothing published about the how of developing EQ, either in yourself or others you may teach or coach. Until now. 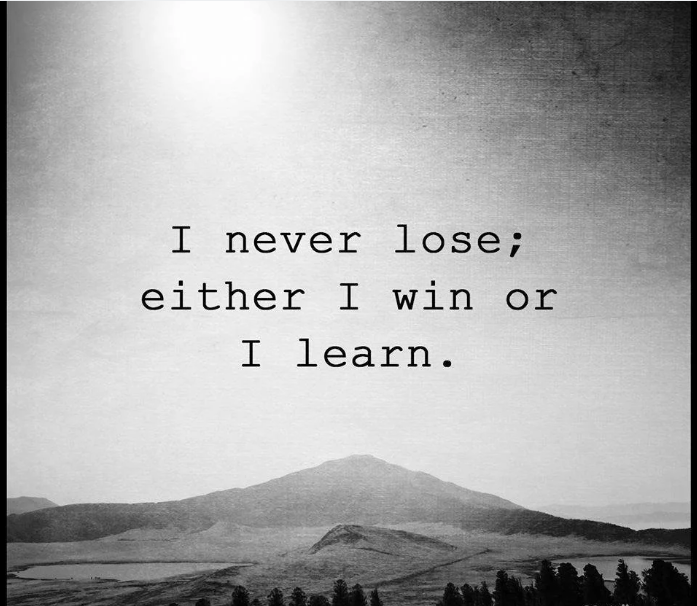 If you tend to play win or lose, from now on try approaching life as a “win or learn” proposition. Learn about these, and more EQ competencies at EQDashboard.com.